There are two images on this page. Both do not always load, click reload until you get success. There is also a bandwidth limitation on this site and it may go unavailable if frequently accessed. Top side of the PCB showing component positions. There are some component reference changes from the original pdf file description. 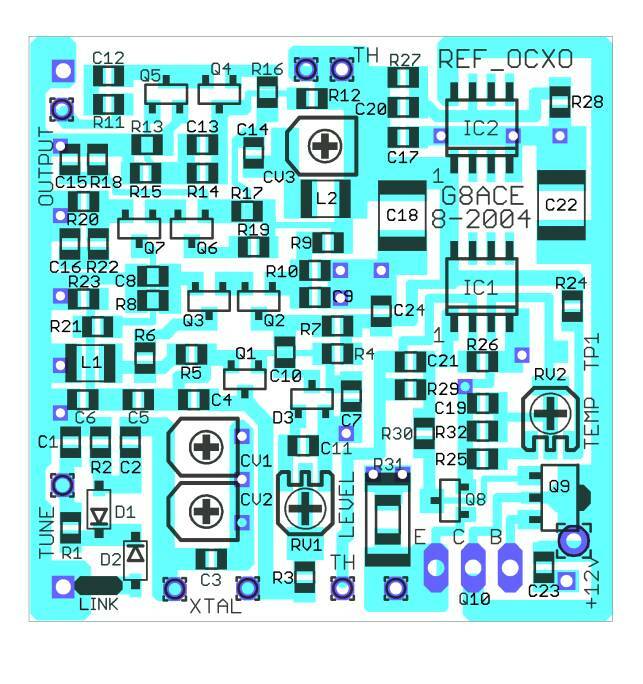 It will be updated to match this new PCB layout which is now 40mm square.